10 Downing Street in London has one of the most photographed front doors in Britain. Since 1735, it has been the official residence of the Prime Minister of Great Britain. Prime Ministers and world leaders have been photographed outside this famous door and important announcements have been made to the nation from here. Some of the most famous British political leaders have lived and worked in Number 10, including Robert Walpole, William Gladstone, Benjamin Disraeli, David Lloyd George, Winston Churchill and Margaret Thatcher. So how did this rather modest looking building become home to the head of the British government? From the outside it appears quite unremarkable but a little like Dr Who’s TARDIS, it is actually much bigger than it appears. A maze of corridors and passages join 10 Downing Street to a bigger and grander building just behind it. It also spreads out to the left of the front door, taking over much of 12 Downing Street which is itself connected by a corridor to 11 Downing Street, the official residence of the Chancellor of the Exchequer. The remaining buildings on Downing Street are government offices. Westminster, where Downing Street is situated, has always been an important district in London. King Canute built a palace in the area and Edward the Confessor had a great abbey constructed nearby. It was however Henry VIII who created Whitehall Palace as a huge ‘entertainment complex’. It included real tennis courts, a tiltyard for jousting, a bowling green and a cockpit. Whitehall Palace was the official residence of Tudor and Stuart monarchs until it burned down in 1698. Today’s Downing Street is situated on the edge of the Palace site, just a few minutes’ walk from the Houses of Parliament. The first building on the site of Number 10 dates from the Middle Ages and was a brewery owned by the Abbey of Abingdon, which by the early 16th century had fallen into disuse. The first house known to have been built on the site was leased to Sir Thomas Knyvet in 1581 by Queen Elizabeth I. One of the Queen’s favourites, his main claim to fame was his role in the arrest of Guy Fawkes and the discovery of the Gunpowder plot in 1605. After the death of Sir Knyvet and his wife, the building passed to their niece, Elizabeth Hampden and the house became known as Hampden House. The building then came into the possession of George Downing. 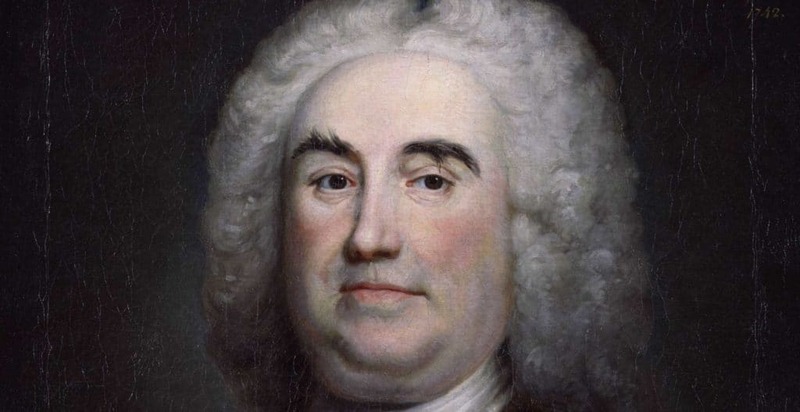 A rather unpleasant individual (Samuel Pepys described him as a “perfidious rogue”) he was nonetheless responsible for the street, its name and for the buildings we know today. In 1682 the renowned architect Sir Christopher Wren was employed to redesign the houses. Between 1682 and 1684, a cul-de-sac of 15 to 20 terraced houses was built, now called Downing Street. Number 10 Downing Street had several distinguished residents between 1688 and the early 1730s when King George II presented it to Sir Robert Walpole, then First Lord of the Treasury and effectively the first Prime Minister. Walpole refused to accept the property as a personal gift. Instead, he asked the king to make it available to him as an official residence, thus starting the tradition that continues today. Walpole took up residence on 22nd September 1735. The Walpoles used their new residence as a place to entertain important guests, including royalty, politicians, writers and soldiers. However by the turn of the 19th century, although Number 10 continued to serve as the Prime Minister’s office, it was no longer used as a home, as most prime ministers preferred to live in their own, more comfortable townhouses. By the time Benjamin Disraeli became Prime Minister in 1868, the house was in poor shape. No-one had lived there for 30 years and Disraeli described it as “dingy and decaying”. The late 19th and early 20th centuries saw 10 Downing Street renovated and transformed into a grand residence with modern facilities. Disraeli persuaded the state to pay for the redecoration of the public rooms, although he paid for the refurbishment of the private rooms himself. He had the first bath with hot and cold water in the house installed for the sum of £150.3s.6d. During William Gladstone’s occupancy in 1884, electric lighting was fitted and the first telephones were installed. Central heating was installed in 1937 and the attic rooms converted into a flat for the Prime Minister. Only one former Prime Minister has ever died at Number 10: Sir Henry Campbell-Bannerman, Prime Minister from 1905 until his resignation on April 3 1908. He was too ill to be moved from the building and died 19 days later. Samantha Cameron and First Lady Michelle Obama chat before having tea in the private residence at Downing Street. Following the resignation of David Cameron on 24th June 2016, Theresa May became the second female Prime Minister of Britain, taking office on 13th July.